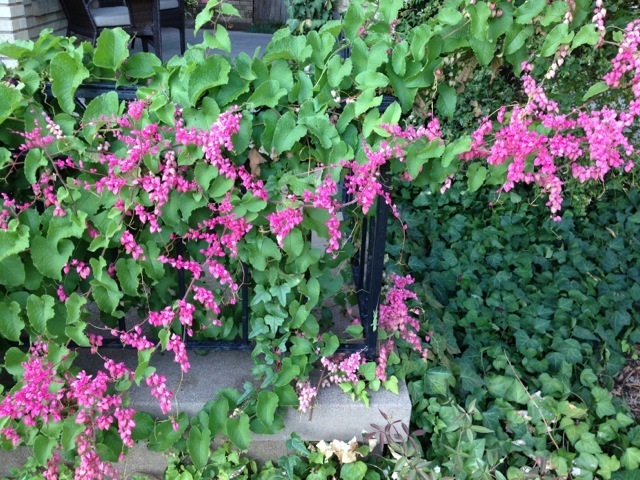 HABIT: Large-growing vine with dark green foliage and bright pink flowers from late summer through fall. Evergreen in frost-free areas. Freezes to the ground in most of Texas. CULTURE: Easy to grow in most soils. 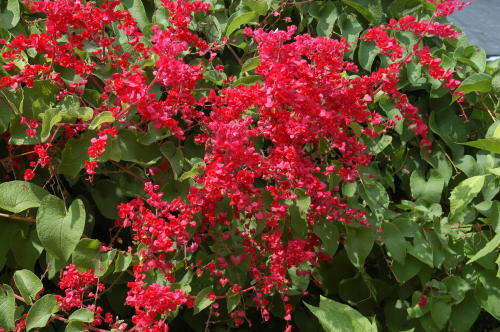 USES: Colorful fast growing vine that include pink, red, and white.